JOSI STELLA DESIGN COPYRIGHT 2019. ALL RIGHTS RESERVED. „All I do is care for you“. 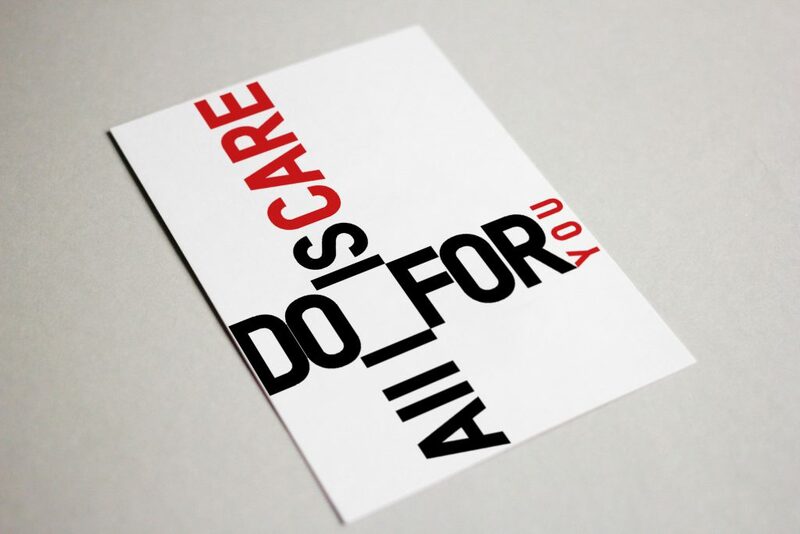 Postcard design backed by a strict grid.